Golf cards allow a player to keep score, as well as provide information to help keep that score as low as possible. 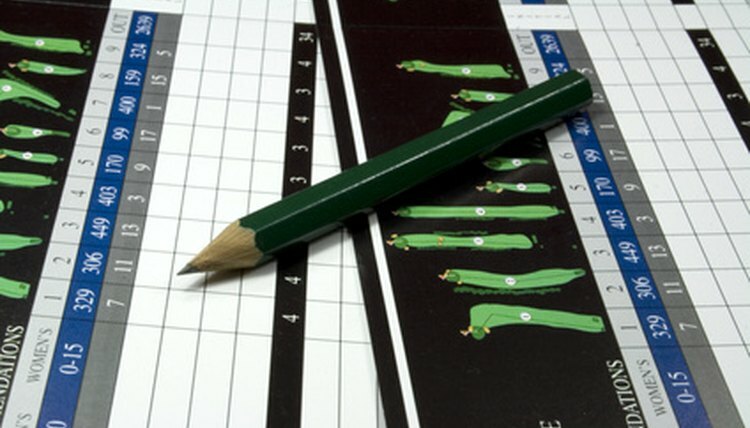 Golf scorecards are provided, along with a pencil, to all players on a course at the start of a round. 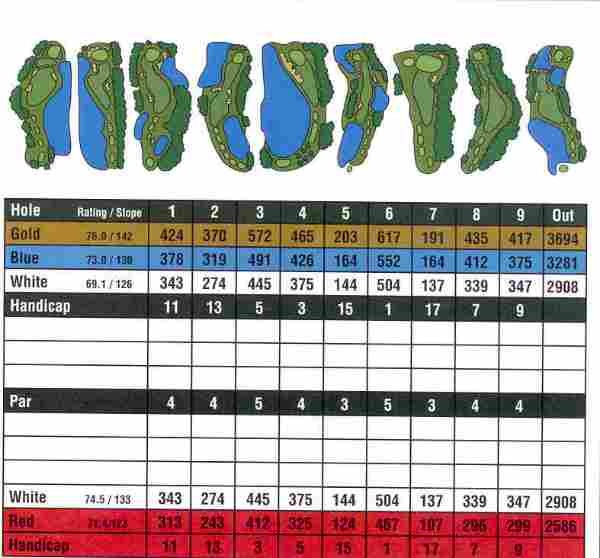 While cards can simply be used for their base task of recording each player's score on each hole, the cards feature additional information which can prove useful during, or sometimes after, a round is completed. One of the most useful items on the golf card that should be consulted at the start of a hole are the yardages for the hole from the various tee boxes. Scorecards list the distance from each color of tees to the hole, so that every player in the group can know their distance, even if they are playing from different color tees. Knowing how far from the hole you are on the tee box will allow you to plan out your ideal series of shots to get to the green. Additionally, some cards will denote the distances to specific landmarks on the hole, such as doglegs or hazards. The slope and rating of the course are two numerical ranking systems which are used in calculating the difficulty of the course for use as part of a player's official handicap. The rating is given in strokes and shows the average score that a scratch golfer would be expected to shoot. For example, a par-72 course with a 73.0 rating would be a course where a scratch golfer was expected to shoot 1-over par in all rounds on the course. The slope is a measure of the relative difficulty of the course for a bogey golfer, relative to the slope, with an average slope being 113. Every scorecard also rates the holes with a handicap rating. This shows the difficulty of the holes from hardest to easiest. When applying a handicap to two players that must be scored per hole, not in total, the handicap numbers are used so that the player receiving a stroke gets one on every hole with a handicap number equal to or lower than the number of strokes given. For example, a player with a 10 handicap playing against a 3-handicap would get seven strokes, one each on holes ranked 7 or lower.